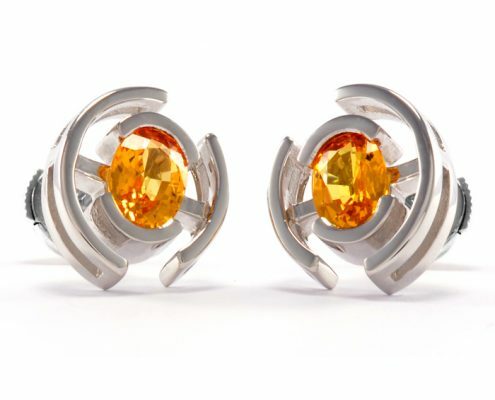 Commissioned with the clients own stunning 2ct 7x5mm oval natural yellow Sapphires. 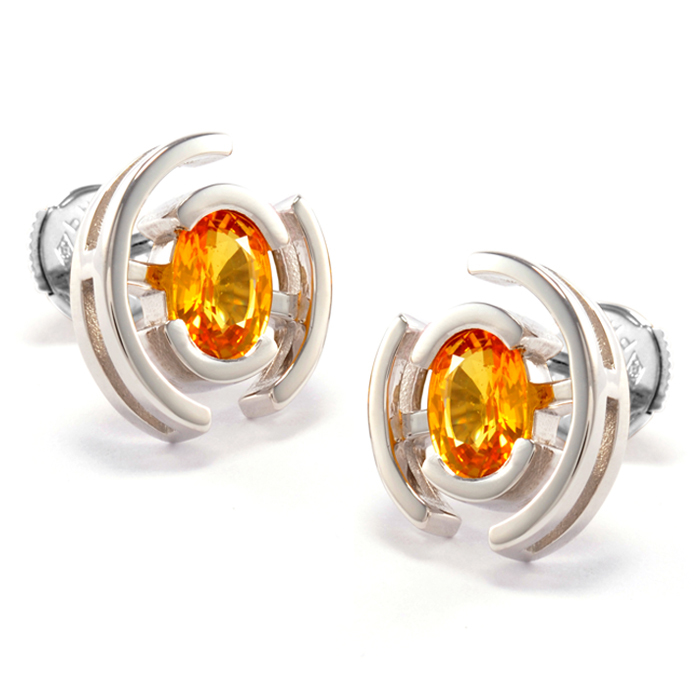 The glowing stones contrast beautifully with the bright 18ct white metal. 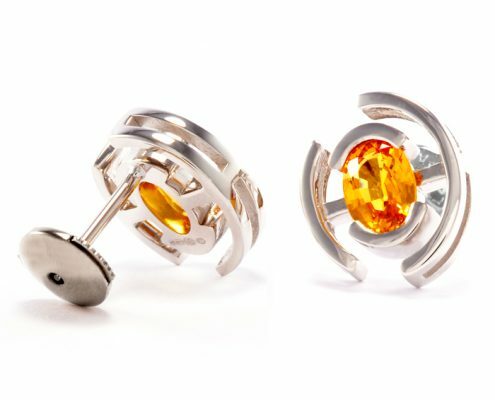 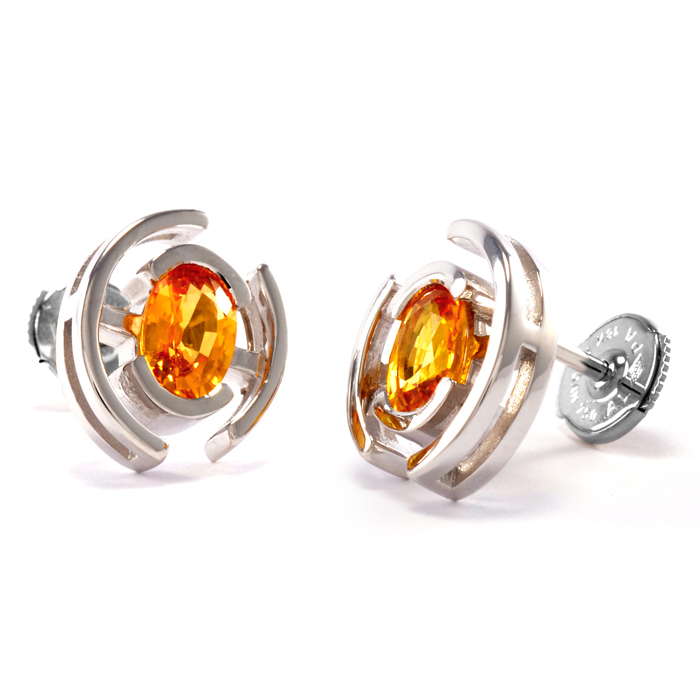 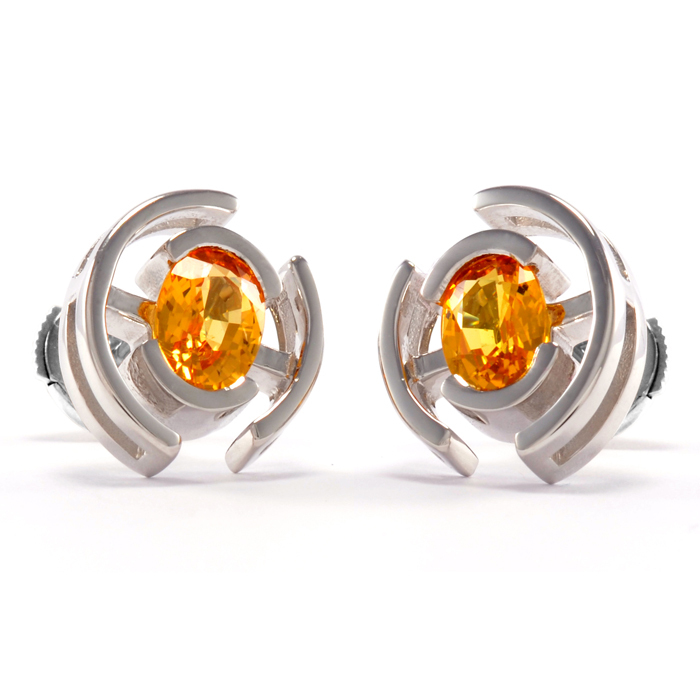 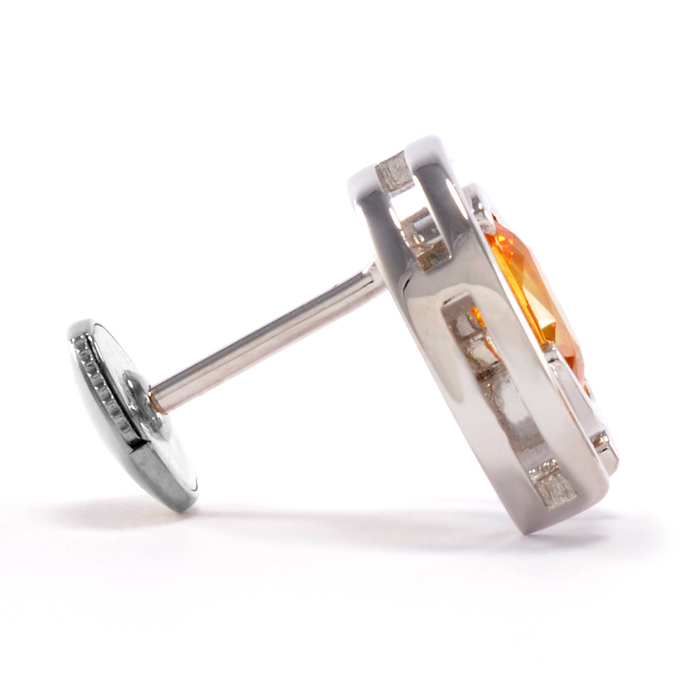 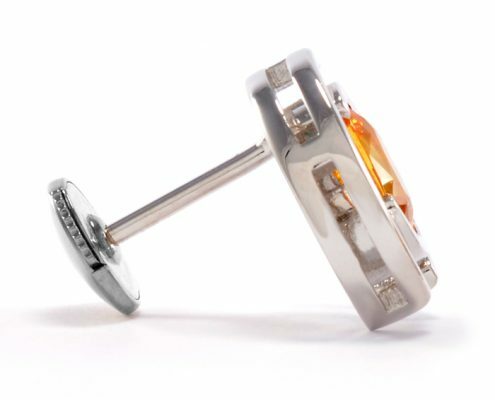 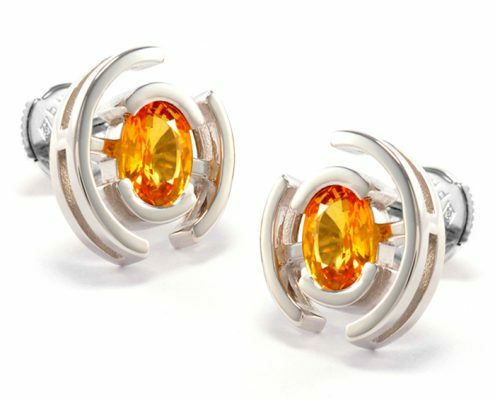 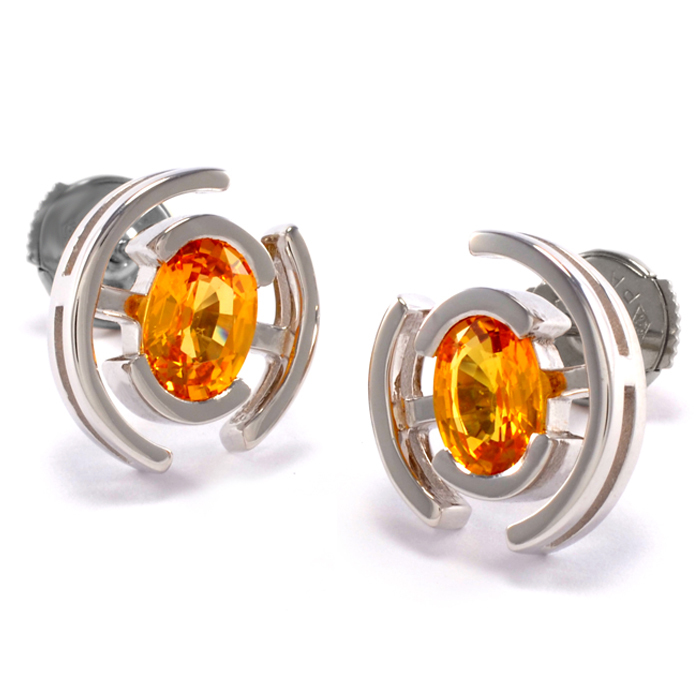 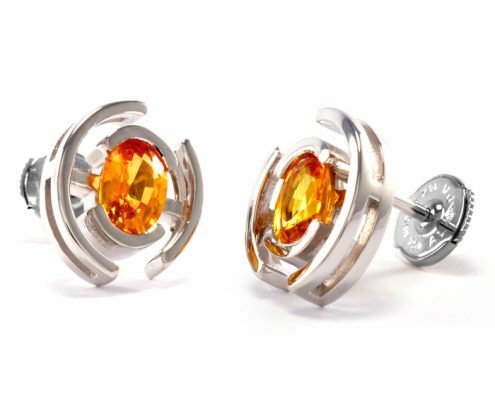 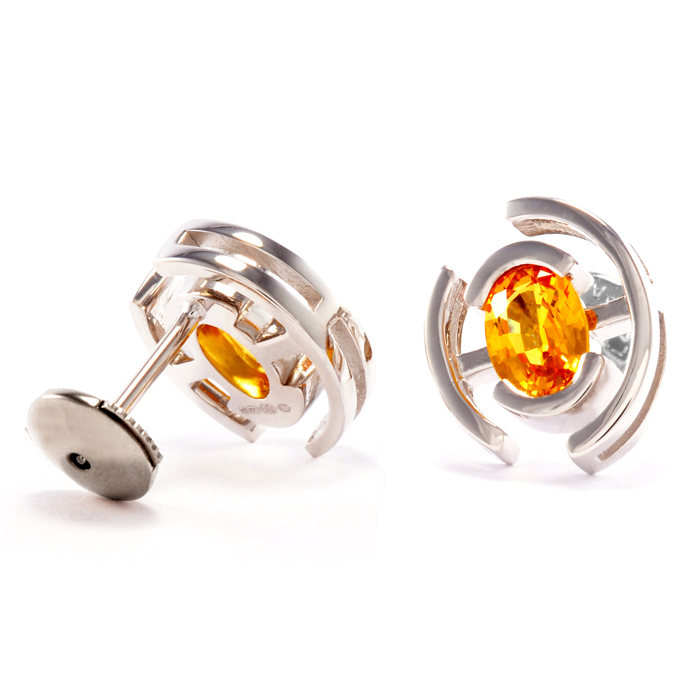 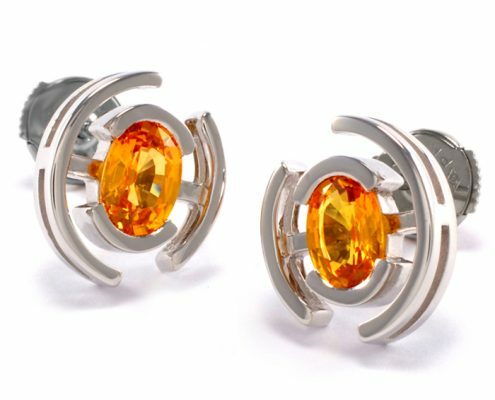 Demi-flush set, with secure alpha back earring fittings.